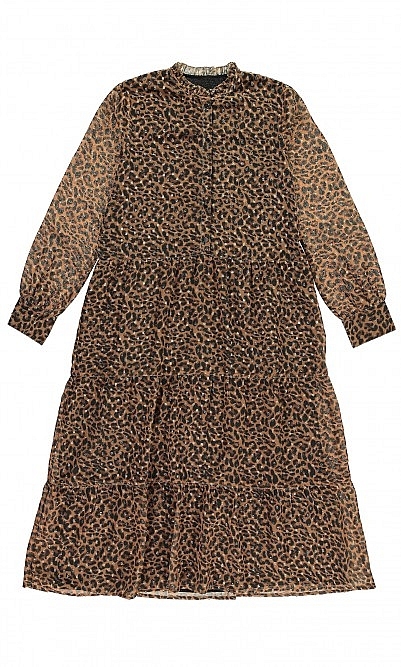 Leopard print maxi dress shaped for a relaxed fit and detailed with a narrow ruffled collar, button-through front and deep tiered skirt. Made from fabulous sheer crepe-georgette. Body lined. L120cm.